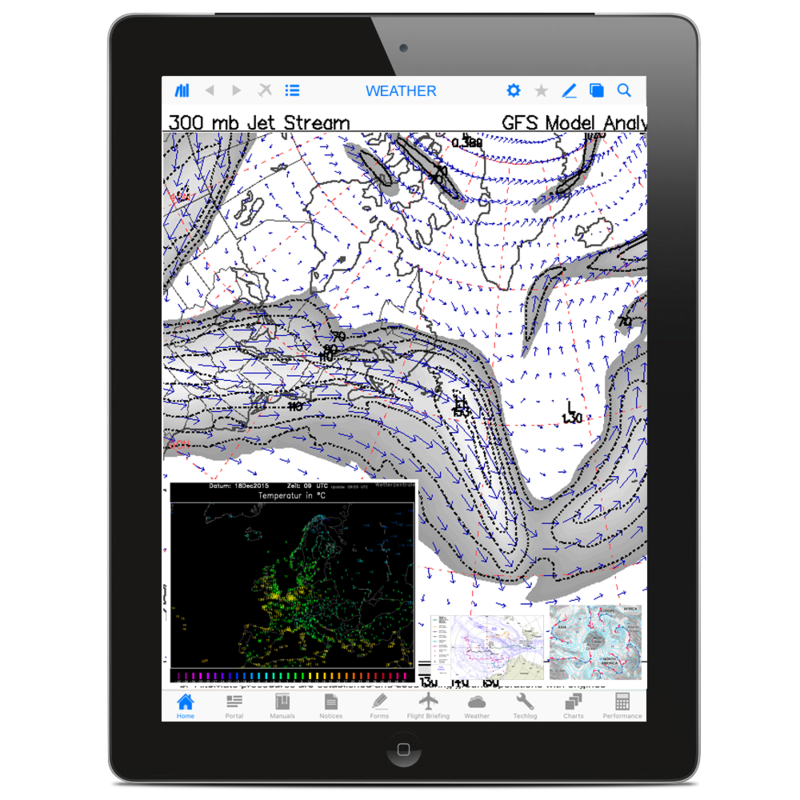 It’s critical that Santa has his finger on the pulse with a clear view of weather activity all around the globe. He’ll be taking off from an area where temperatures can get down to -9C/15F, with snowstorms a daily occurrence. 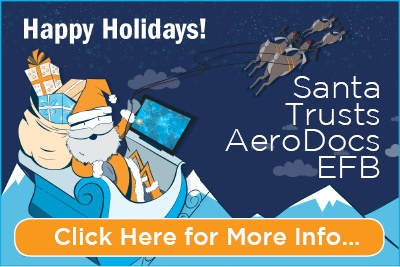 Luckily, AeroDocs EFB weather is updated dynamically whenever Santa gets within range of wifi. Santa’s told us that his wishlist for 2016 includes adding full connectivity to his sleigh, so we’ll be implementing that for him. 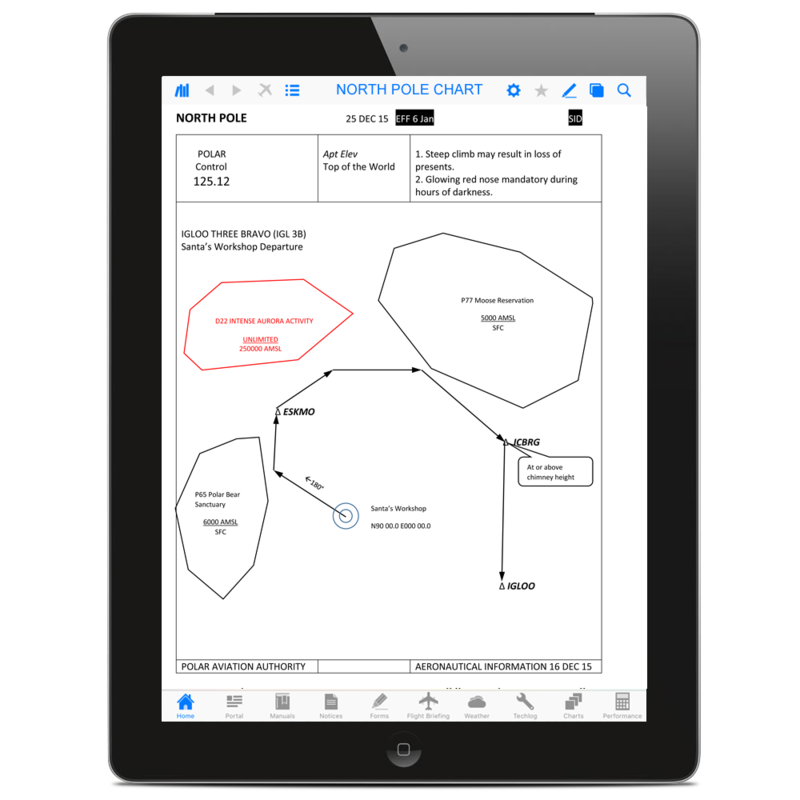 Let us know if we can help you to deliver a genuinely paperless cockpit across your fleet in 2016. 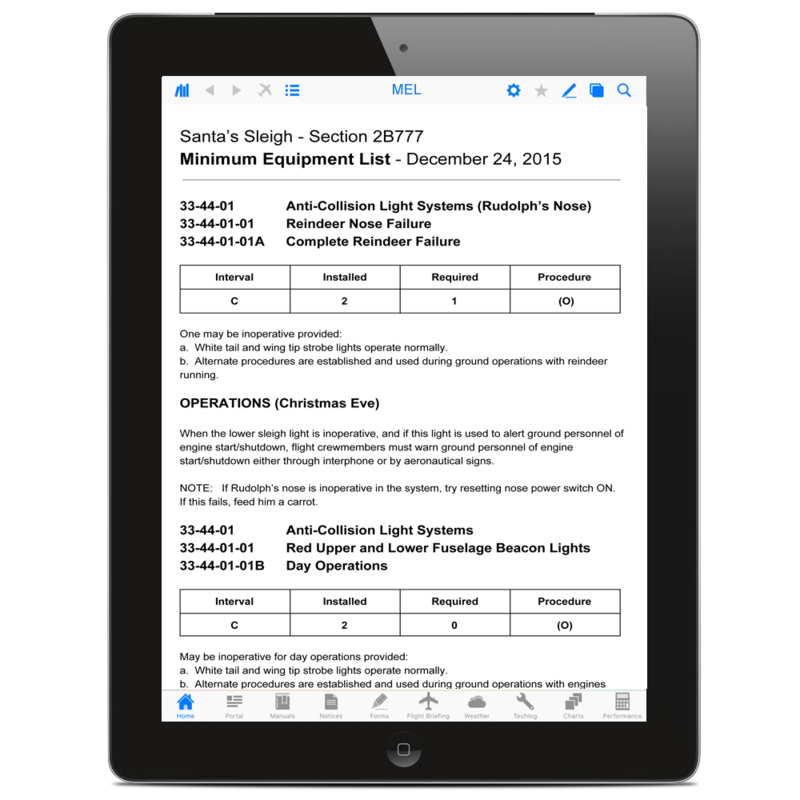 AeroDocs EFB means that there’s no need for elves or Santa’s magic to help your flight crew perform more efficiently! The Arconics crew would like to wish you, your family and your colleagues a Happy Holiday season and best wishes for a great 2016. We look forward to staying in touch in 2016.